I took my kids (and the dog) to my mom's this afternoon so I could finish Christmas shopping and start wrapping a few things. I mean have you ever Christmas shopped with your kids in tow? Nightmare...and not to mention, there is always the possibility of being accused for shoplifting. All the tucking under the coat and hiding in the purse, waiting until the very last second to discreetly place the item on the conveyor belt, hoping the kids stay entertained with that stupid travel sized bobble head pen long enough for the "secret item" to be safely stowed away in the shopping bag. Whew....I just exhausted myself thinking about it. Anyway...I shopped for a while and the hustle and bustle was insane. (Although, I quite enjoyed myself perusing the isles without my usual shadows tagging along.) Then I headed home to sort things and start the wrapping process. As I was driving home, I kept thinking to myself how nice it was to be alone. And then I started feeling guilty and selfish for not wanting to be with my kids. Here I was buying them things and I didn't even want them to be around me. When I walked into my house it was silent. I mean drop dead silent. Not even the dog there to greet me. (And if you know Johnny, you know he's half the chaos and noise of this house by himself.) No tv blaring, no ivory keys pounding "Silver Bells" or "Deck the Halls" (the 2 current favorites), no basketball bounce-bounce-bouncing, and best of all, no screaming and crying. It. was. glorious. I sat down and wrapped in silence. I didn't even turn on Christmas tunes. I just needed time to listen to my heart beat and my lungs breathe. Time to contemplate and ponder all the blessings I have been given. Time to recover from the craziness of normal life. Time to reflect on my Savior. And time to just be Elena....not Mom. It was all of 3 hours, but it's all I needed. And now, I'm ready again to listen to the noise, the crying, the laughing, the piano, the pounding basketball, and even the barking dog. Because without all of that, I wouldn't have my greatest blessing of all...my sweet little family. so eloquate! i loved reading this. and i am VERY jealous! oh doll! enjoy the silence and then enjoy the noise and the "tag-a-longs" enjoy it all! I'm always amazed at how much I CRAVE being alone and quiet. And then I get it, and an hour later (or maybe 3) I'm ready for all of IT to come back. So glad you got your break! You are so right! Every once in awhile you have to be just yourself. I'm happy that you could find some of that time! 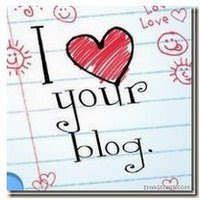 Great Blog... I am glad you got your moment of silence.